IDF says rocket fired from towards Ashkelon likely exploded inside Gaza. 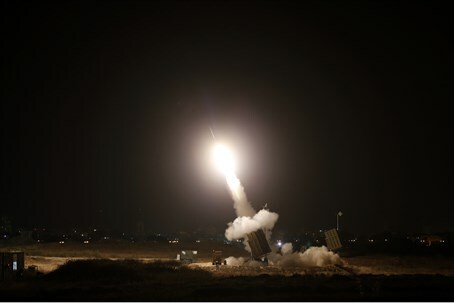 Late on Thursday night "color red" rocket sirens were sounded in the southern coastal city of Ashkelon, as well as throughout the Ashkelon Coast regional council. At least one rocket was identified as having been fired from Gaza, but IDF officials said it is believed the rocket exploded inside Gaza. No rockets were found in Israeli territory. There were no reports of injuries or damages on the Israeli side. The siren, which was sounded just after 10 p.m., comes just over a week after terrorists in Gaza fired a rocket at Israel last Wednesday. Members of the Salafist group “Sheikh Amar Hadid Brigades” affiliated with the Islamic State (ISIS) claimed credit for the attack, just days after they claimed a Grad rocket attack on Ashdod. Hamas contacted Israel after the rocket strike last Wednesday and said the ISIS affiliate had conducted it so as to cause conflict between Israel and Hamas, as an act of revenge after the Salafists and Hamas have been clashing in Gaza. Defense Minister Moshe Ya'alon (Likud) responded to the message last Thursday, saying, "even if those firing on Israeli territory are gangs of rebels from global jihad organizations interested in challenging Hamas by firing at us, we view Hamas as responsible for the goings-on in the (Gaza) Strip, and we won't tolerate attempts to harm our citizens."